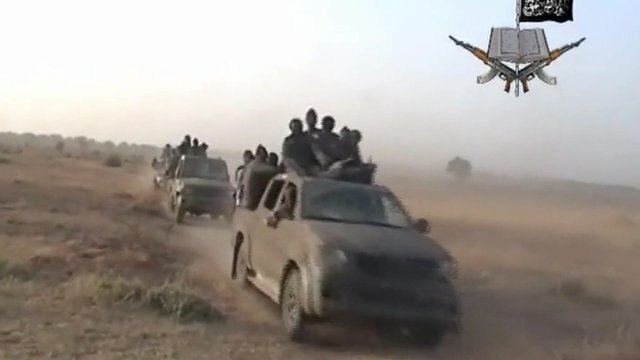 The International Crisis Group recently published a report on the Boko Haram insurgency titled ‘Curbing Violence in Nigeria (II): The Boko Haram Insurgency (full report available HERE)’. It chronicles the insurgency in a detailed and historical manner and recommends measures for addressing it, to various stakeholders. The recommendations are addressed to the Federal Government, the northern state governments and international donor partners. They are two-fold: those aimed at protecting lives, and those aimed at tackling the root causes of the insurgency. What I like most about the report is its detailed and granular nature. It is based on extensive fieldwork in various parts of Nigeria, with information gathered from Boko Haram members, residents in the North-East, the epicenter of the insurgency, from federal and state government officials, from security officers and many other relevant stakeholders. This is obviously a marked departure from the predominantly lazy, speculative and recycled analyses sometimes by arm chair analysts who have never been to any part of northern Nigeria. There is a lot more in the report. First, there is little to no emphasis on how to address the politicization of the insurgency, particularly the alleged involvement of non-Muslims in an ostensibly Islamist phenomenon. For instance, the well-documented involvement of non-Muslims in botched bomb attacks of churches, the arrest of Boko Haram’s medical doctor, Dr. Isaac Ikere, a World Health Organisation (WHO) consultant and that Yusuf was bailed by prominent non-Muslim politicians (although this was explored briefly in the main body of the report in pg. 13) and numerous similar incidents are all highly significant. Second, the report did not recognise that the media (collectively) are important stakeholders in insecurity and violence in Nigeria. The mainstream media play a huge role in moulding public opinion in Nigeria. Media ownership reflects some of Nigeria’s regional and religious cleavages and the way incidents are reported with a certain slant contribute to the tensions in Nigeria. Third, I would argue that any recommendation must include a counsel to the Federal Government to revamp its PR on this insurgency. The army’s poor communication strategy has significantly eroded the already thin public trust in the military and in other security agencies. They frequently under-report casualty figures and their human rights violation record in the North-East is legendary. They willingly misinform the public with exaggerated claims of victory. Last year the Joint Military Task Force (JTF) claimed they had killed Abubakar Shekau which turned out to be patently false. Then they callously claimed that the reports of the 20 school girls abducted in Konduga in Borno in February were false. Most recently, the JTF claimed to have rescued the 200 female students abducted in Chibok, Borno a few days ago, a claim that was widely disputed by the school principal. These tall tales are insensitive, are a contemptibly futile attempt at winning hearts and minds and have done incalculable damage to the security agencies’ reputation. The army needs to urgently review it’s public engagement strategy to regain the trust of Nigerians. Notwithstanding these shortcomings, the Crisis Group report is meticulously written, easy to read and devoid of unnecessary jargon. It is a must-read for anyone interested in understanding the Boko Haram insurgency. You claim to be a working towards a doctorate degree in your bio don’t you? Would you use those two articles as documents for a scholarly work? The Crisis Group is a WELL RECOGNIZED INTERNATIONAL GROUP it is paramount to their creditability that they maintain the highest standard of objectivity and professionalism. The two articles you posted are chalk full of inconsistencies and reek of subtle ethnic and religious bigotry. Vanguard in its “WHO, Boko Haram’s doctor arrested” released no names of any of the individuals involved. Did not name their sources (most likely because the story was fabricated), did not release the name the World Health Organization’s consultant, and did not release the name of the Amnesty International agents who were investigating. It also says and I quote: “a medical doctor (NAMES with-held)”. Was there more than one doctor? Where is the location of said medical facility? Nigeria has Freedom of Information Act why couldn’t the reporter query the federal government over the arrest? Why couldn’t Vanguard query the government to find out the name of Boko Haram’s legal representative (if they have one as the article claims)? News Rescue in its article Nigeria Muslims: Christians behind Many Alleged Boko Bombings the author claims that the people who “sprayed bullets on the Gombe Deeper Life Church worshipers” were alleged to be Igbo’s. Who made these accusations? How do they know that they were Igbo? Does it matter? Can the author of the article not query the government for official documentation and post it to the website as is done in the developed nations? It claims after that a Hassan Ojudu and a Samaila Yakubu were arrested with a vehicle loaded with explosive devices and ammunitions. Not only that but that these two individuals were Christians (of course). The only questions I have to ask are WHERE IS THE PROOFS? In one part of the article the writer even goes out of his way to specifically address Christians. Is that professional? Doesn’t that indicate authorship-bias? Can an American write an article and say: “Blacks should note” or “Protestants should note”? I could go on-and-on but I believe the people reading my post get my point. That you use this legitimate report released by the International Crisis Group as the pretext to push forward wild conspiracy theories. This is backed by your twitter log where you even insinuate that the murder of General Shuwa was as a result of his involvement in Nigeria’s Civil War (What of Gowon?). Not only that but that any discussion of Nigeria’s Civil War is dangerous. As if to say that one should not discuss their countries history. I could go on and on, for the other incidents but I won’t do your job for you. You have Internet. Google these things, it’s easy!! As for your query on why Vanguard, Newsrescue and the other media couldn’t press for the names or details of other suspects. Why not take it up with Vanguard and Newsrescue website? You have read my profile it seems, so you know that I do not and have never worked for Vanguard. Take it up with Vanguard or take your media-ethics rants elsewhere. 3. You should remove the speck or whatever is blocking your eyesight and go read my tweets carefully. Yes some people have alluded to General Shuwa’s murder as some sort of vengeance by his killers for his role in the Civil War, and I maintain that this as well as other constant references to the war to make sense of the violence in Nigeria is an extremely dangerous line of thinking right now, with all of Nigeria’s problems. Wars or thoughts of them shouldn’t even feature in our discussions, because we may not survive another one. They think they are wise. now you are asking for proof? when if Muslim name mentioned you won’t ask question before you start spewing lies. I just liked the answer of this German Muslim scholar when he was asked about terrorism and Islam : He said : Who started the first world war ? Muslims ? Who started the second world war ? Muslims ? Who killed about 20 millions of Aborigines in Australia ? Muslims ?? Who sent the nuclear bombs of Hiroshima and Nagasaki ? Muslims ?? Who killed more than 100 millions of Indians in North America ? Muslims ?? Who killed more than 50 millions of Indians in south America ? Muslims ?? Who took about 180 millions of African people as slaves and 88% of them died and was thrown in Atlantic ocean ? Muslims ?? No , They weren’t Muslims!!! First of all, You have to define terrorism properly… If a non-Muslim does something bad..it is crime. But if a Muslim does the same..he is terrorist… So first remove this double standard…then come to the point!!! , . . . . .
To be honest, in as much as the International Crisis Group claims to have carried out a comprehensive research as regards the matter above…i will like to point out somethings they also have not seen. Also, i’m sure most people who claim to be following this matter have not seen it as well. The point is ” the systematic process of attacks”. They started like an ethnic dispute and advanced to door to door massacre of “infidels”. They now advanced to bombing of places of worship where “infidels” hold services to God. Furthermore, they migrated to education institutions to eradicate both the student learning and also what they are trying to learn(i.e. western education). They had a little retreat and realized that their mission is progressing as planned, then they decided to test the Nations military strength and preparedness (which unfortunately was weak). Afterwards, they threatened to strike at oil pipelines and Riggs, which a week later they attempted but not successful.Now they are shifting gears again. So you see, there is a pattern which they are following in their activities, and these pattern has been ignored by all just as their objective has been ignored as well. Call Comptroller Saliu S.S (08163458421 ) the marketing officer for more info. #600,000.00, Honda Accord 2010 Model costs #750,000.00 and lots more exclusive ones.